PEN Canada is committed to protecting your privacy and we recognize the importance of privacy and are committed to maintaining the accuracy, confidentiality and security of your personal information. We are also careful to ensure that information is used responsibly, and only for the purposes for which it is provided. Personal information is information that identifies you as an individual, such as name, address, telephone number, age, credit card information, and banking information. Information that is publicly available, such as a telephone book listing, is not considered to be personal information. • Other personal information used for purposes that a reasonable person would consider appropriate in the circumstances. PEN Canada does not collect personal information about you without your knowledge and consent and PEN Canada is committed to ensuring that information is collected by fair and lawful means. PEN Canada generally collects your personal information directly from you and only with your consent. PEN Canada uses your personal information for fundraising, to process donations and to respond to requests for services and information, and to keep you informed about our programs and activities. If the purpose for using your personal information changes from the time since such consent was obtained, PEN Canada will advise you of this purpose before such use or disclosure. If you do not wish PEN Canada to use or disclose your personal information for purposes other than for which it was collected, or if you do not want to receive any materials from PEN Canada, please contact PEN Canada’s privacy officer listed below. 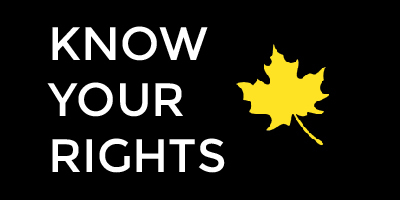 PEN Canada reserves the right to disclose personal information if required to do so by law or in the good faith belief that such action is reasonably necessary to comply with legal process, respond to claims or to protect the rights, property or safety of PEN Canada, its members or the public. 2. Subject to applicable regulations, we may disclose your personal information to a government agency, court, or law enforcement personnel. We recognize our obligations to protect personal information. We have therefore made arrangements to secure against the unauthorized access, collection, use, disclosure, copying, modification and disposal of personal information. PEN Canada considers personal information provided by you to be private and confidential and accordingly we treat it with care. PEN Canada aims to ensure that any personal information provided is accurate, complete and current as required for the purposes for which the information is used. Personal information is subject to the laws of the country where it is stored. At any time, you may request that we correct or update your personal information by contacting PEN Canada’s privacy officer as set out below. PEN Canada will use reasonable efforts to ensure that your personal information is accurate and current.